General | DOMINO 3.0 released! The DOMINO software is developed and programmed in house to work in harmony with our sleep diagnostic devices. Further support for SOMNOtouch RESP PSG. Utilization of 64 bit systems, i. DOMINO can use more RAM. For this, the system requirements have increased (including 64 bit operating system. Easier to recognise the DOMINO version immediately in the new panel, which also no longer contains the date, but a fourth version number, which indicates the bug fix release. 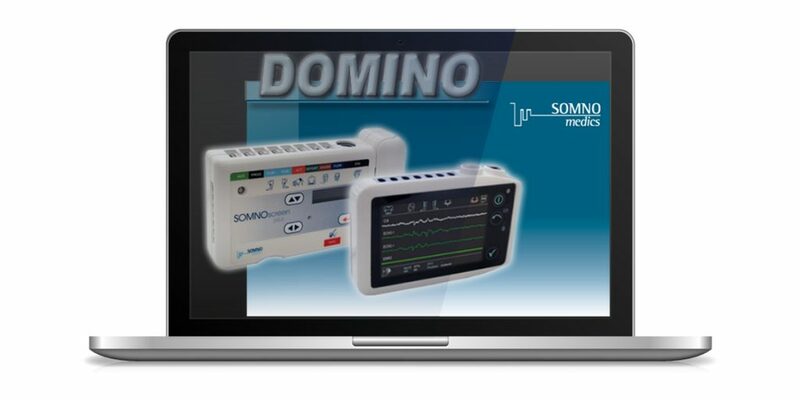 As always if you have any questions or need support with DOMINO 3.0 please do not hesitate to contact your local dealer or SOMNOmedics GmbH directly.